Dr. Darrell Floyd has served as Superintendent of Enid Public Schools since June 1, 2014. Prior to that, he served fourteen years as Superintendent of Schools in Stephenville, Texas. He earned a doctorate from Texas A&M University-Commerce, a masters from the University of Texas-Permian Basin, and a bachelors from Texas Tech University. Since coming to Enid, Darrell has become very active in community activities including: a participant in Leadership Greater Enid, board member of the Greater Enid Chamber of Commerce, board member and campaign chairman of the United Way of Enid and Northwest Oklahoma, YMCA board member, member of the St. Mary’s Regional Medical Center of Enid’s board of governors, board member of the Garfield County Board of Health, and a 2016-2017 class member of Leadership Oklahoma. 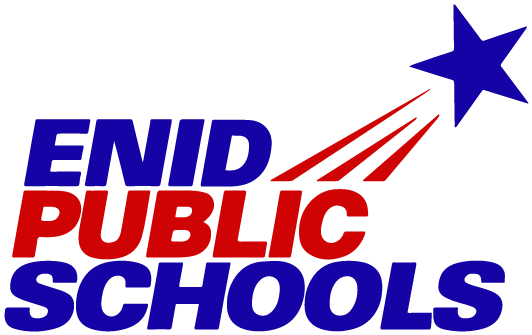 Under Dr. Floyd’s leadership, the Enid Public School District has achieved numerous “Points of Pride” including: passing a $92.8 million bond election on February 9, 2016, being named a Model District for Concurrent Enrollment and Community Partnerships, receiving the District of Distinction Award from the national District Administration journal, and developing a very comprehensive districtwide Strategic Plan with the involvement of well over 1,000 community members. Over his 30-year career, Dr. Floyd has assumed a number of regional and statewide leadership roles as well including: United Suburban Schools Association board member, OSSAA Constitution and Rules committee member, president of the Texas Association of School Administrators, president of the Texas Association of Midsize Schools, and recipient of the Texas A&M University-Commerce Alumni Ambassador Doctoral Award. He and his wife, Dr. Cheryl Floyd, have been married for 29 years and have two kids, Tyler and Brittany, who recently both graduated with their master’s degrees from Texas Tech University.